From Lyndon Johnson’s closest domestic adviser during the White House years comes a book in which “Johnson leaps out of the pages in all his raw and earthy glory” (The New York Times Book Review) that’s been called “a joy to read” (Stephen Ambrose, The Washington Post Book World). And now, a new introductory essay brings the reader up to date on Johnson’s impact on America today. 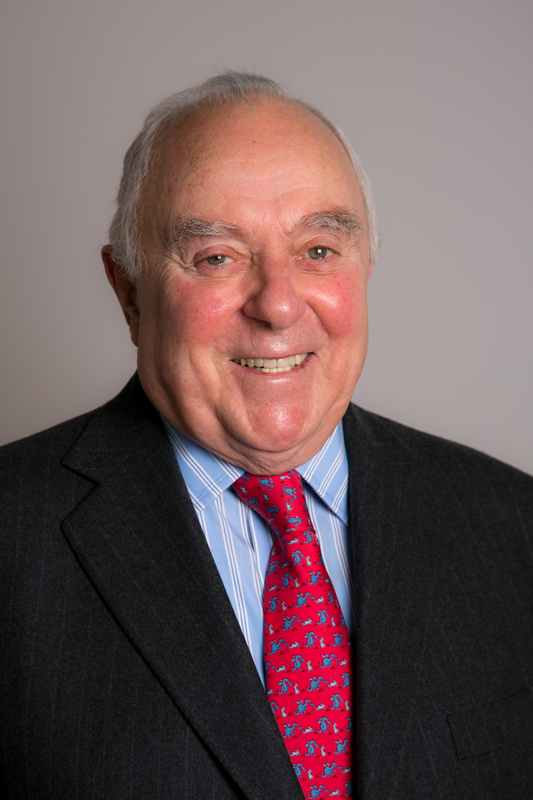 Califano takes us into the Oval Office as the decisions that irrevocably changed the United States were being crafted to create Johnson’s ambitious Great Society. He shows us LBJ’s commitment to economic and social revolution, and his willingness to do whatever it took to achieve his goals. Califano uncorks LBJ’s legislative genius and reveals the political guile it took to pass the laws in civil rights, poverty, immigration reform, health, education, environmental protection, consumer protection, the arts, and communications. President Lyndon Johnson was bigger than life—and no one who worked for him or was subjected to the “Johnson treatment” ever forgot it. As Johnson’s “Deputy President of Domestic Affairs” (The New York Times), Joseph A. Califano’s unique relationship with the president greatly enriches our understanding of our thirty-sixth president, whose historical significance continues to be felt throughout every corner of America to this day. 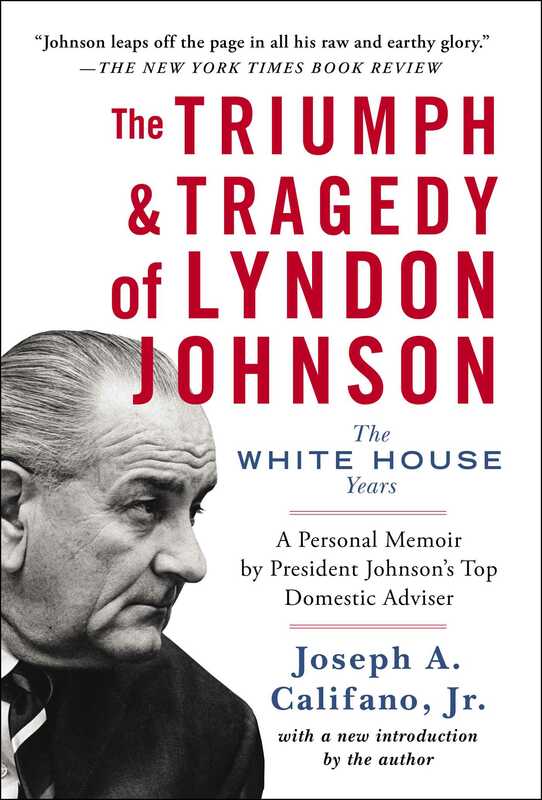 A no-holds-barred account of Johnson’s presidency, The Triumph & Tragedy of Lyndon Johnson is an intimate portrait of a President whose towering ambition for his country and himself reshaped America—and ultimately led to his decision to withdraw from the political arena in which he fought so hard. THE FIRST CALL came on November 4, 1964. I was working as Special Assistant to Robert McNamara. My office at the Pentagon was directly across the hall from his. That morning The Washington Post and New York Times were on my desk, their headlines proclaiming Lyndon Johnson’s landslide over Barry Goldwater, 61 to 39 percent. Moyers and Bundy were waiting in Moyers’s office. They said the President (whose only previous contact with me was a handshake in August 1964)2 wanted me to take on two tasks: administration headhunter and White House expert on Latin American affairs. Moyers said my experience with McNamara gave me good lines to top talent, and Bundy thought work I had done on Cuba, Panama, and the Dominican Republic gave me a grounding in Latin America. I told them I would have to talk to McNamara. They urged me to wait until the President had spoken to him. I said I couldn’t. “I’ll have to talk to McNamara,” I responded, excited but nervous and unsure about my boss’s reaction. At the White House Moyers and Valenti said that my new job would be to prepare legislative programs, manage domestic crises, and act as a general-utility infielder on the domestic scene. When I got back to the Pentagon, McNamara told me to come right to his office. An hour later, McNamara called me in to tell me that he had convinced the President he should let me coordinate economic policy. “What a job!” I gasped. “It’s not a job. With this President, it’s not even a job description. It’s an opportunity. You’ll have to prove yourself to him to turn it into a job,” McNamara said. I said I was planning to have dinner with a friend from Panama who was already on his way to the restaurant. I thought I’d best skip the White House dinner. Moyers understood. So went my first lesson: this President did not like people to say no to him. At dinner,5 Johnson listened intently as each academic spent a few minutes outlining the most serious problems and opportunities facing America and the President. Remarkably, at least in retrospect, the Vietnam War was scarcely mentioned. Everyone was confident we could solve our domestic problems. In only nineteen months after assuming the presidency, Johnson had made enormous progress on the Democratic party’s progressive agenda. The President, with whom I had not yet spoken, introduced me as a member of his staff. On my way out, he said he expected to see me at the LBJ Ranch for the weekend. As I drove home, I thought about my only direct experience of Lyndon Johnson in action. On October 14, 1964, it was reported that Walter Jenkins, a long-time Johnson aide (as close to a White House chief-of-staff as the President ever tolerated), had been arrested a week earlier for making advances to a sixty-one-year-old man at the downtown Washington YMCA. The story broke less than three weeks before the presidential election and promised to fuel Goldwater’s charges of corruption and improprieties in Johnson’s past. Two military officers on my staff were still around, Army Lieutenant Colonel Alexander Haig and an Air Force lieutenant colonel. Rather than put a young Air Force officer in the impossible position of standing over a general in his own service, I sent Al Haig to monitor the Xeroxing. As soon as we had a copy, McNamara and I rushed to Moyers’s White House office. As Bundy, McNamara, and I gathered around a speaker phone, Moyers called Valenti at the Waldorf-Astoria Hotel in New York City, where the President was speaking to the Alfred E. Smith Memorial Dinner. Lady Bird Johnson was preparing a sympathetic statement supporting Walter Jenkins and his family.6 When the President got on the phone, he expressed his suspicion that Jenkins had been framed or set up by the Republicans. He asked McNamara to read him texts of Jenkins’s Air Force Reserve fitness reports signed by the commanding officer of the Capitol Hill Air Force Reserve unit. One was more glowing than the next. Moyers and Bundy smiled. McNamara and I exchanged glances. The commanding officer who had signed Jenkins’s glowing reports was Air Force Reserve Major General Barry Goldwater. I got up at 3 A.M. on Saturday, July 10, 1965, to shower, pack, dress, and drive to Andrews Air Force Base outside Washington to catch a presidential Lear Jet. Valenti, his wife Mary Margaret, and speechwriter Richard Goodwin were also on board. We arrived at the ranch just after 9 A.M. Johnson met us at the airplane and sent us off to our rooms. Then Mrs. Johnson offered us scrambled eggs and spicy deer sausage. When I demurred, she said, “I suggest you eat something now, young fellow. You never know with Lyndon what time the next meal will be.” After breakfast we changed into bathing suits and joined the President at the pool, where he was swimming. His secretary, Victoria (Vicky) McCammon, sat on the side with her feet in the water. “It would be an honor and a privilege,” I called back. In the early afternoon, the President, with me next to him in the front seat, took his white Lincoln convertible, top down, for a drive around the ranch. Johnson had changed to dry trunks and a clean shirt, but I was still in my one pair of wet trunks and a knit shirt. It was incredibly hot; the dust clouds made it hard to breathe. But there was relief. As we drove around, we were followed by a car and a station wagon with Secret Service agents. The President drank Cutty Sark scotch and soda out of a large white plastic foam cup; I had a Coca-Cola. Periodically, Johnson would slow down, sometimes stop for a moment, and hold his left arm outside the car, shaking the cup and ice. A Secret Service agent would run up to the car, take the cup and go back to the station wagon. There another agent would refill it with ice, scotch, and soda as the first agent trotted behind the wagon. Then the first agent would run the refilled cup up to LBJ’s outstretched arm and waiting hand, as the President’s car moved slowly along. As he drove, the President would call his ranch foreman, Dale Malechek, on the car’s Motorola radiophone. As we passed from one section of the ranch to another, Secret Servicemen would jump out of the car in front and rush to open gates so we could drive through without stopping. We stopped at LBJ’s birthplace, a small two-room building with a tiny barn behind, drove back for a fast ride on the airstrip and again around the ranch, ending at the ranch house around 2 P.M. Shortly afterward, we boarded a helicopter for the Haywood Ranch, another of Johnson’s properties, and Coca-Cola Cove at Lake LBJ, part of a chain of artificial lakes set in central Texas, thanks to the persistence of Congressman Lyndon B. Johnson. We lunched and spent the afternoon and early evening on a thirty-seven-foot yacht. From lake-front properties and in small motorboats, wire-service photographers constantly sought to take pictures. Secret Service agents in black speedboats tried to keep the photographers away. Johnson took care to drink out of an opaque plastic cup, usually below deck, whether it was filled with scotch or Fresca. We went ashore briefly at a house on the lake that the President called “Jack and Mary Margaret’s,” after the Valentis. As we walked through the house, the President stopped in a bright shaft of sunlight in the living room. He unbuckled his belt and twisted toward his right side as he lowered his pants and pushed down his undershorts, trying to look at his increasingly bare right buttock. “Something hurts back there,” he said, now exploring the surface with his right hand. “Is that a boil?” he asked me as I stood to his right. Astonished, I looked—“peeked” would be a better word—and gulped, “Yes.” “I’ll have to get Dr. [presidential physician George] Burkley to look at it,” the President said matter-of-factly as he tucked in his shirt, pulled up his pants, and buckled his belt. In the late afternoon, the President took me waterskiing. He drove his twenty-foot gold-colored speedboat up and down the lake and under a bridge with concrete supports about every ten yards. He drove faster and faster, zigging and zagging around the lake and between the concrete pillars. The faster he drove and twisted, the more I was determined to stay up. He threw me once. He was going so fast that I thought I’d split apart when I flew off the skis and hit the water. Determined to prove myself, I got back up and managed not to fall off again. The car splashed into the water. I started to get out. Just then the car leveled and I realized we were in an Amphicar. The President laughed. As we putted along the lake then (and throughout that evening), he teased me. “Vicky, did you see what Joe did? He didn’t give a damn about his President. He just wanted to save his own skin and get out of the car.” Then he’d roar. Around 9 P.M. we went to the Haywood ranch house for dinner. I was still in my wet bathing suit. The others, more experienced in LBJ’s ways, had brought along a change of clothing. Near midnight we returned by chopper to the main ranch house, and the President asked me to come to his office. For half an hour, he handed me one paper after another, directing me to give them, along with his instructions, to various White House aides or cabinet members. When he finally retired, White House aide Jake Jacobsen gently took the papers from me and said he would carry out the President’s instructions. I went to bed, almost twenty-four hours after I’d gotten up in Washington. Life at the ranch would always be unpredictable. We never knew when we would work or play. In the pool, on the boat, during a meal, the President might give us an order to do something or to get an agency or department head to take some action. Breakfast was always early and on our own, but lunch could be anywhere from one to four o’clock; it might be at the LBJ Ranch, on the boat, or at one of the Johnsons’ other ranches. The President usually took a nap, which could last anywhere from thirty minutes to a couple of hours. Dinner might be at eight or midnight and its location was just as uncertain. On Sundays we had no idea whether we would return that evening or Monday morning, afternoon, or evening, and we often departed on less than an hour’s notice. Mrs. Johnson displayed ceaseless patience in accommodating her husband’s spur-of-the-moment style. That first Sunday, Johnson and I attended separate services, he at the First Christian Church in Johnson City and I at St. Mary’s Catholic Church in Fredericksburg. Back at the ranch, Johnson held a press conference to name Major Hugh Robinson as his new Army aide. I had interviewed several black Army officers for the job only a month before and had recommended Robinson.7 He became the first black military aide to a U.S. President. We lunched at 3 P.M., the President napped until 6 P.M., and then decided to spend the night in Texas, so we spent the early evening driving around the LBJ and Lewis ranches. After dinner, the President took me on a walk to see his third cousin, Oreale Ruth Keele Bailey. Cousin Oreale lived in a small frame house on the LBJ Ranch. The President took care of her. She was about seventy-seven years old and suffered mild dementia and hearing loss. Outside the house, Johnson shouted to her and then went in and sat on her bed. He talked to her loudly, teased her gently, laughed with her, hugged her, and lifted her off her feet. Cousin Oreale loved it. Often I have felt the utter futility of words; never more than now when I would wish my boy and his bride the highest and truest happiness together. That I love you and that my fondest hopes are centered in you, I do not need to assure you, my own dear children. . . . Beyond “Congratulations, Congressman” what can I say to my dear son in this hour of triumphant success? . . . I love you; I believe in you, I expect great things of you. As a White House car took me home, I pondered the impossibility of preventing a leak. Thirty or more White House correspondents had seen me with the President on Lake LBJ, at his Sunday press conference, at his boyhood home, and in Johnson City. McNamara’s advice was on the mark. It didn’t take long in Lyndon Johnson’s White House to realize that for the President a minute was well spent, an encounter enjoyable, a day good, an evening memorable, only if it contributed to his goals. He wanted that same intensity from his staff. They had to be reachable and under his control at all times. The telephone was Johnson’s chosen instrument.I He installed direct lines to his top assistants from the Oval Office (both desk and coffee table) and his bedroom. This line was easily distinguishable from the clear buttons on our phone consoles not only by its red color, but by the letters POTUS (President of the United States) and by the fact that when the button lit up our phones emitted a constant single ring until they were answered. These POTUS lines easily earned the term “hot.” If there was a slight delay in picking up, the President conveyed the impression that the phone hadn’t been answered promptly enough. He was invariably annoyed if any of us were not at the other end to answer. Soon after I arrived at the White House, around eight o’clock one morning, Johnson called on my POTUS line. Down the hall from the Oval Office, my office had its own adjoining bathroom, which is where I was when he called. My secretary, Peggy Hoxie, picked up. “He’s not here, Mr. President,” she answered a little nervously. “Where the hell is he?” the President asked. “He’s in the bathroom, Mr. President,” Peggy responded. “Isn’t there a phone in there?” Johnson asked incredulously. “No, Mr. President,” she responded, just as incredulously. Within minutes, as I came out of the bathroom, Peggy was standing in my office, a little shaky, with two Army Signal Corps technicians from the White House Communications Agency. “The President wants a phone installed in your John immediately, sir,” one of them said. I shrugged my shoulders, smiled, and surrendered. The phone, complete with POTUS line, was installed and functioning in less than an hour. On one Sunday morning the President called while I was at mass at Holy Trinity Church in Georgetown. When I arrived home and got the message, I returned the call. After asking me if I had prayed for him (I had, but not as hard as I prayed for myself), the President told me I should never be out of telephone touch with the White House. I said I understood that, but it was only for an hour. Then he said, “The reason they have those Motorola radiophones in White House cars is so that I can get you at any time.” From now on, he instructed me, when you go to church on Sunday, go in a White House car, and sit in the back of the church. Then, “if your President ever needs you,” the driver can go in and quietly get you out so you can talk on the phone. So from then on, a White House limousine waited for me when I went to mass. The President, however, never called me out of church. The President’s desire to control his staff extended to the way we dressed. He never hesitated to tell secretaries what colors or styles most became them, and sometimes he even selected dresses for them. On at least one occasion, he told Juanita Roberts, his senior secretary, that “all the girls in [her office] needed more hair spray.”13 He loved selecting designer dresses for his daughters, Lynda and Luci, and for his wife. Mrs. Johnson looked at me and then at her husband, and said, “Maybe Joe likes his tie the other way, darling.” With that, she had made it clear, nicely but quite firmly, that the President had overstepped. I learned fast that Johnson used every waking minute of every day. He’d start around 6:30 or 7, going through several newspapers, watching the morning television shows, reading overnight cables and the Congressional Record, with paper clips attached to passages that referred to his programs and to speeches he’d had us plant with members of Congress in support of his policies. He ate breakfast in bed, drinking several cups of tea and giving orders to one of his aides, in the early years Jack Valenti, then Jake Jacobsen or Marvin Watson, and in the last year, Larry Temple or Jim Jones. One of them would arrive each morning to be available from the moment the President awoke. He spent much of this early-morning time on the phone with cabinet officers, especially Secretary of State Dean Rusk and McNamara, and any others of us who were working on problems of the moment. After 8 A.M., other aides would gather at the President’s bedside when they had matters of pressing importance. If Mrs. Johnson had not gotten out of the couple’s big fourposter before aides began arriving, she would patiently lie there next to him, bed jacket on, covers modestly pulled up to her chin. Extraordinarily for a man with such a large ego and intense sense of mission, LBJ deeply loved his wife. He liked to have her close by and, always accommodating, she made herself appear as comfortable as she could, though we all sensed how awkward she must sometimes have felt. Eventually, Mrs. Johnson would say, “Now you boys look the other way,” or “Now you gentlemen get out of here just for a minute,” so that she could exit to the privacy of her dressing room next door. Johnson would continue working with one or two aides throughout his morning toilet. He’d get out of bed, disrobe, get into his high-pressure shower, bringing the aide into the bathroom outside the shower as he continued to discuss whatever was at hand. He would be talking as he emerged drying himself and continue, standing naked as he shaved, brushed his teeth with an electric toothbrush, and combed his hair. Each morning, he’d take a small plastic container filled with pills-, mostly for his heart (he’d suffered a massive heart attack in 1955), toss the contents into his mouth, and go on speaking with them still there, making his point before washing them down with water. Johnson worked in the Oval Office and presided at various White House ceremonies from late morning until lunch, which could be anywhere from 1 P.M. to late afternoon. After lunch, he would take a nap, usually lasting about forty-five minutes to an hour, for which he would undress and put on fresh pajamas. “The only way to relax is to peel off all your clothes and make believe you’re going to bed for the evening,” he told me. He’d awake from his nap refreshed. Sometimes he would call to ask, “What’s going on? Who’d you have lunch with? What’re you doing?” Or to see if I had done what he’d asked earlier that day, or to issue new instructions. Then he’d shower and return to the White House offices, where he worked until late in the evening. Dinner, frequently shared by the aides he was working with when he got hungry, could be anywhere from 8:30 until after midnight. Dinner would of course be earlier if there was a White House social event, which he sometimes turned into a working session.14 At a stag affair for top executives of Fortune 500 companies, with a sprinkling of celebrities, including actors Gregory Peck and Hugh O’Brian (TV’s Wyatt Earp), Treasury Secretary Henry (Joe) Fowler explained the President’s “speaker-writer” exercise to the guests. A basket with slips of paper would be passed around each table. Each guest was to draw a slip; one would be marked “Speaker,” the others would be marked “Writer.” The President would call on each table’s “speaker,” who was to rise and tell LBJ what was on his mind. The others at the table were to write the President later. Johnson promised to read all the letters (and he did). After dinner, the President called on the speaker from each table. Some urged action on the economy, others supported the President on Vietnam, others offered help with education or the unemployed. When each had finished, the President led the applause. Shortly after midnight, the President took Peck, O’Brian, and me up to his bedroom. We were served drinks, then the President stripped naked for his evening massage. As he lay on his massage table, he read memos from his night readingII aloud, talked, and joked, sometimes raucously, in high spirits. At 1 A.M. Lady Bird appeared in her nightgown. Seeing us there, she started to back out, but Johnson waved her in to “Say hello” to Peck and O’Brian, which she did with remarkable grace, and then left. As he became drowsy from the late hour and the massage, Johnson finally motioned us out and called Lady Bird in.16 He relished his wife’s pillow talk and was lonely when she was not there during the night. I. The sculptor Jimilou Mason had such a hard time getting Johnson to stay off the phone and sit still that she finally did a piece of the President running, holding the base of a phone in one hand and the receiver up to his ear in the other. II. Each night, Johnson would have on his bed night reading often exceeding one hundred pages, neatly wrapped in big folders usually tied with ribbon. The night reading included messages to Congress and speeches to edit, and scores of memos from aides with decisions to be made by checking lines (Approve—, Disapprove—”) or writing, “See me,” “Call me,” or some question, order, or epithet. He insisted that each memo bear the time as well as the date of writing. Because he went through his night reading with highly sharpened soft lead pencils, we could measure the level of his anger or impatience by the number of broken points apparent on any notes he sent back. Over the years I worked in the White House all but a handful of the hundreds of memos I sent him for night reading were acted on and returned to me the following morning. "Taking on a character like LBJ was as daunting asone might imagine. This book helped me shape the role in a way that onlysomeone who actually knew the 36th president could. The book containsinsightful and honest details of this larger-than-life character, and allowedme to see the greatness of his impassioned hope, and the minutia of histroubled soul. He was indeed a Triumph and a Tragedy. Thank you Joe, forbringing him to life for me and millions of others." "Just watching Johnson wheel and deal through Califano's eyes makes a rousing good story. Johnson's successors in the White House must still salivate at the kind of arm-twisting, ball-busting tactics that permitted the President to sweep through his legislative package." "Joe Califano...had a ringside seat for LBJ's amazing success and dizzying descent. His highly entertaining and thoughtful memoir is the best description of the inner workings of the Johnson White House I have ever read and LBJ--inspiring, terrifying, funny and tragic--comes alive in a way no other writer has managed."